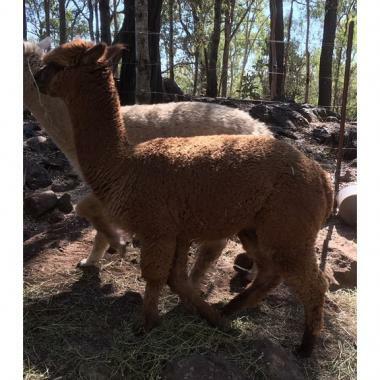 Boy Georgie is a 18 month old brown alpaca wether (neutered male). He is quiet, easy to handle and has good confirmation and fine fleece. He is registered and fully vaccinated.